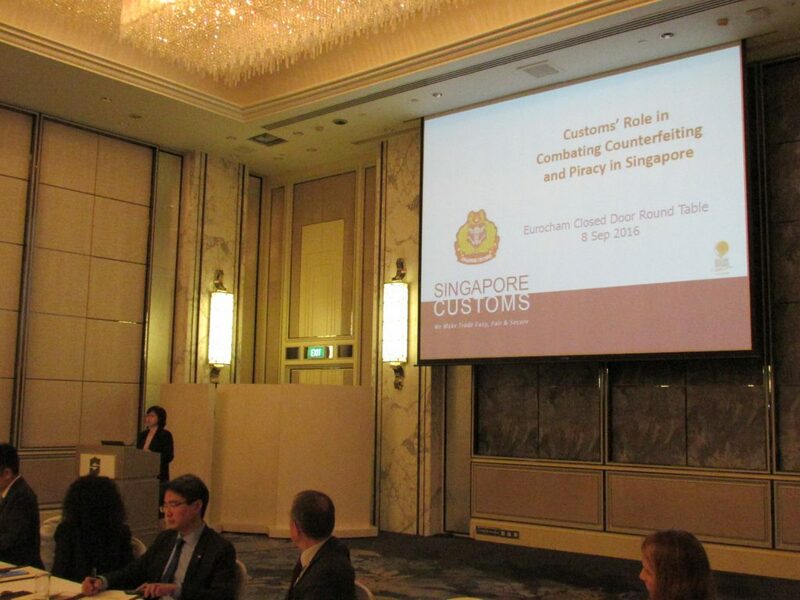 On the 8th of September 2016, EuroCham had the pleasure to organise a third policy discussion series to address the challenges of illicit trade. 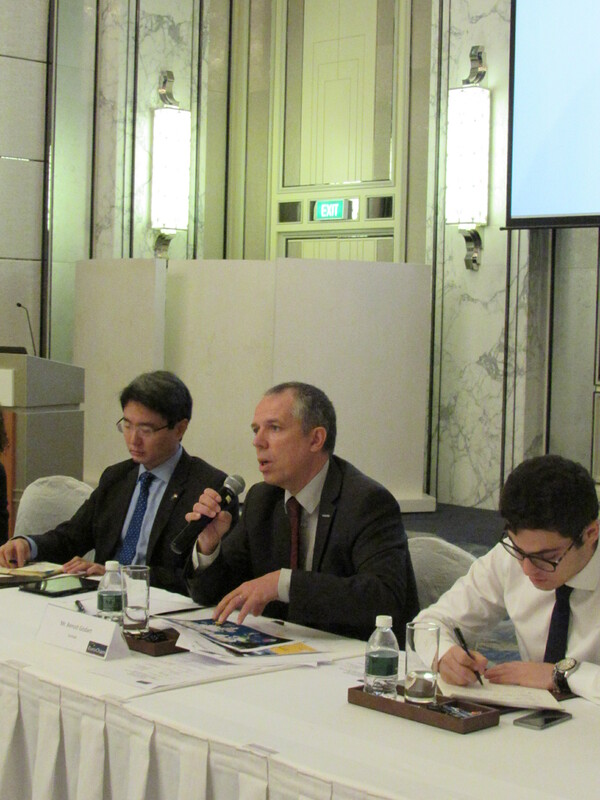 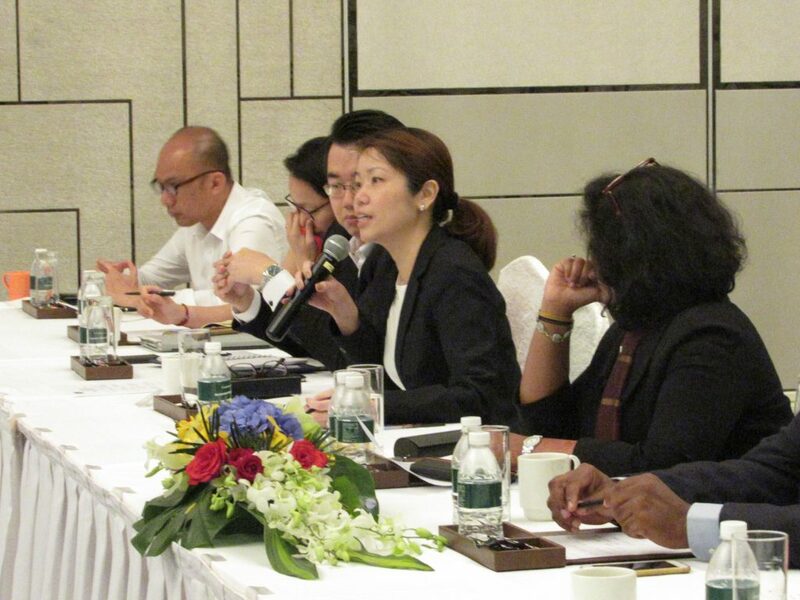 This event follows the successful roundtable discussions held in October 2015, during which participants emphasized on the importance of creating strong ties between the Government and the private sector for the purpose of fighting illegal business practices while enforcing intellectual property rights. Illicit trade is an ever-growing phenomenon impacting and hurting a lot of different industries and nations. 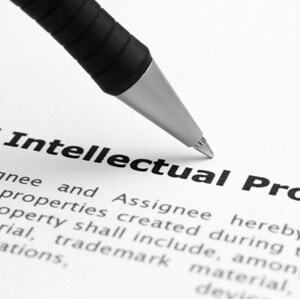 While industries suffer due to counterfeit goods, governments may observe a decrease of trade efficiency and be affected by reputational damage. 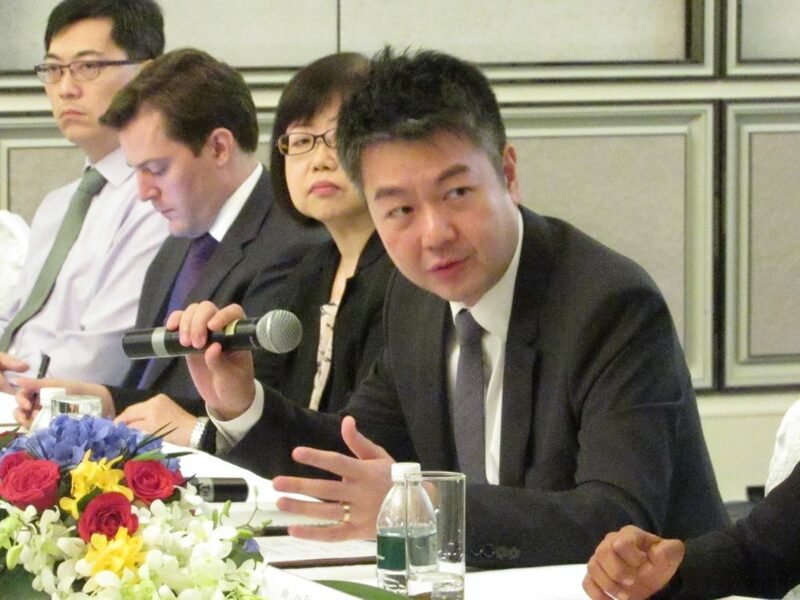 In line with the above, EuroCham praises Singaporean authorities for their commitment to protecting brand owners and laws in place, allowing for enhanced border measures in relation to IP-infringing goods. 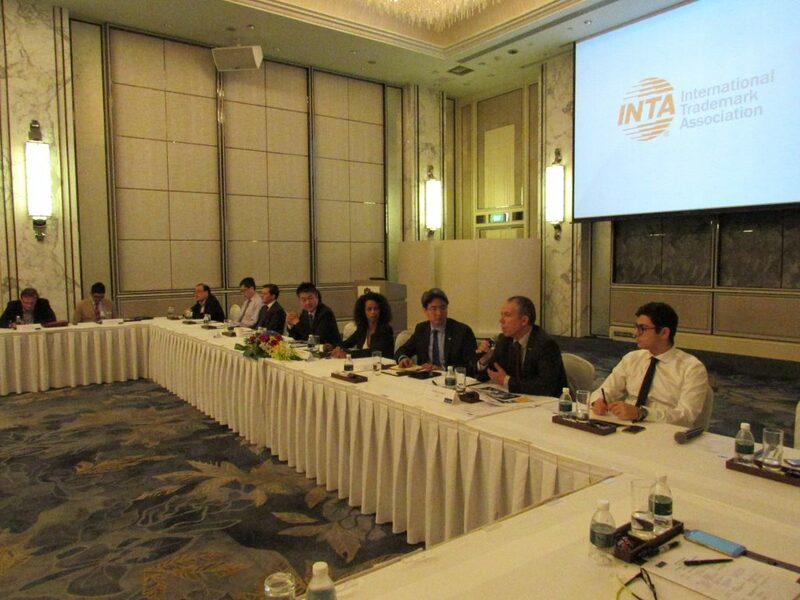 This closed-door event fostered awareness among industry leaders regarding the harmful impact of illicit trade and its consequences on innovation and business in general. 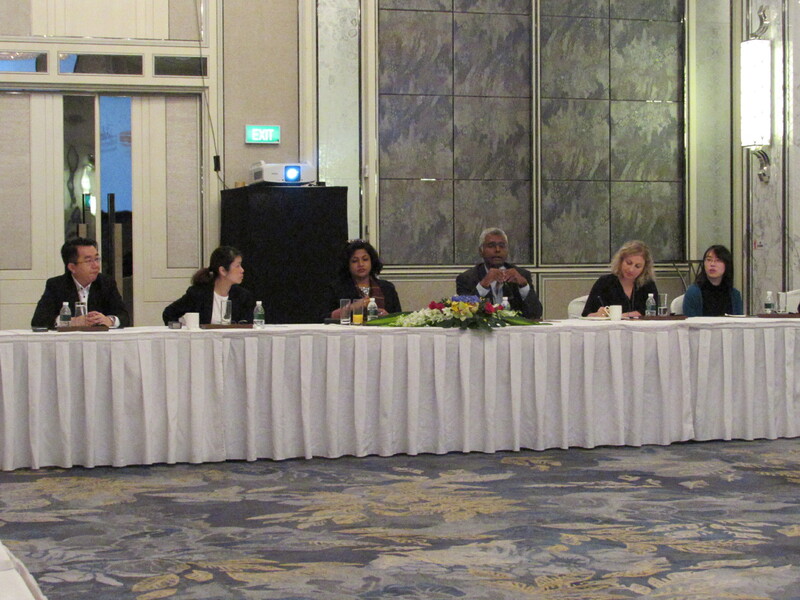 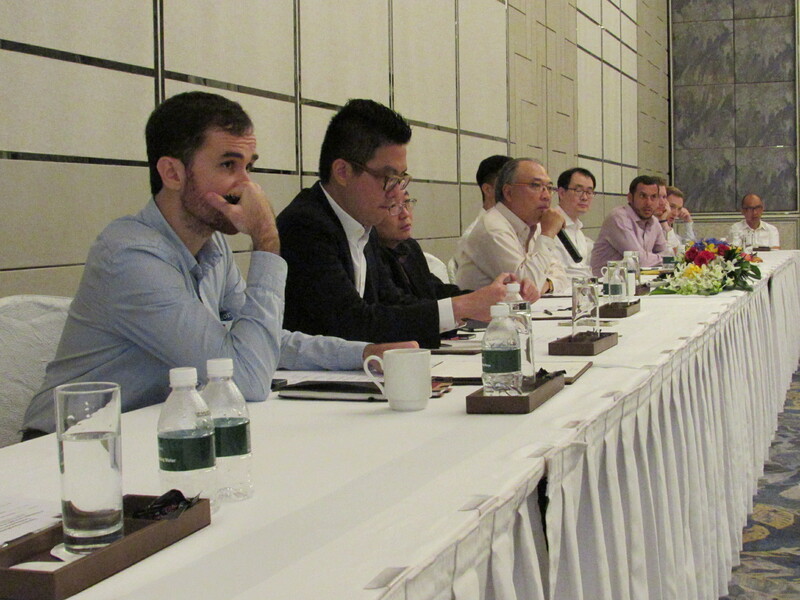 With attendees ranging from customs officials, senior industry representatives to international organisations, this roundtable discussion provided them with the platform to engage in a dialogue and to consider closer collaborations. 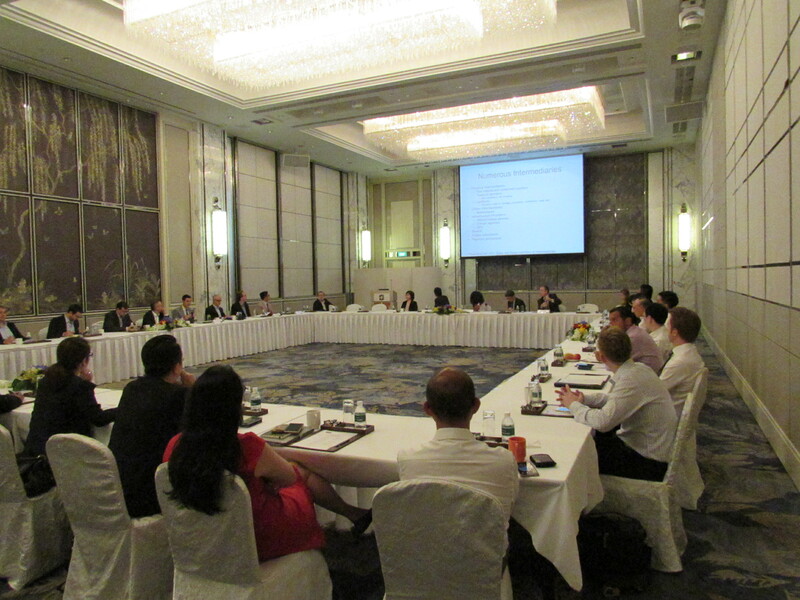 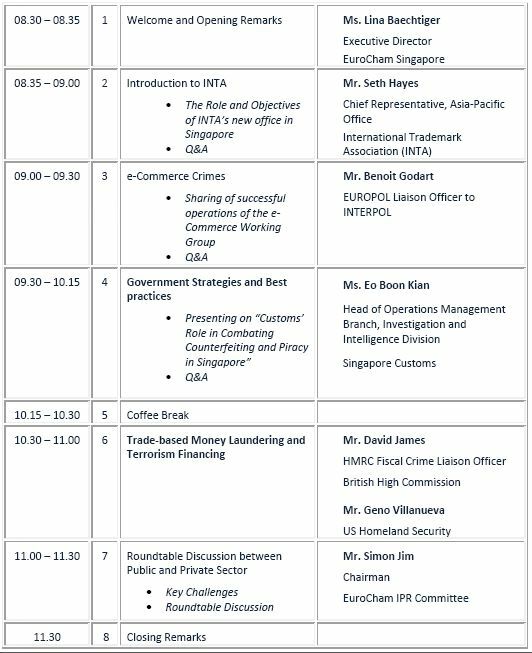 The event featured a presentation of INTA and its new office in Singapore, the discussions will also focus on e-commerce crimes, government strategies, as well as trade laundering and terrorism financing.